Welcome to Spodcast, where we look at the big sports headlines of the day. We start with the AFC Asian Cup football tournament. India, who had a great start to their campaign with a 4-1 win over Thailand, lost 2-0 to hosts UAE on Thursday. India are ranked 97th in the world while the hosts are ranked 79. It was reversal of form for both teams - India, who looked agile and aggressive in their opening match, seemed to lack the killer instinct while UAE, who had a subdued 1-1 draw against Bahrain in their opening match, looked far more assertive. While UAE did dominate ball possession, India created many scoring opportunities in both halves and had more shots at the goal but failed to seize those chances. A desperate UAE scored in the 41st and 88th minute, thanks to Khalfan Mubarak and Ali Ahmed Mabkhout. India's repeated attempts to equalise went in vain as many kicks either ricocheted off the bar or went wide. One couldn't help but feel that it was so-near-yet-so-far for the Indian team on Thursday. India, who are now in second place in Group A with 3 points, face Bahrain in their next match on 14th January. 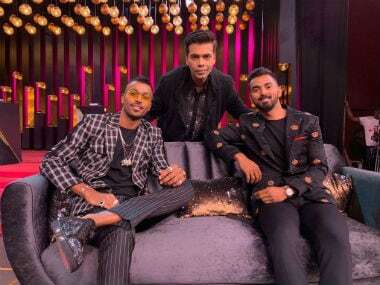 The big controversy over Hardik Pandya's and KL Rahul's allegedly misogynistic comments on the TV show Koffee With Karan could lead to a two-match ban for both players. Vinod Rai, the chief of the cricket board CoA, recommended a two-ODI ban for Pandya and Rahul for their comments that were deemed offensive while fellow CoA member Diana Edulji has referred the matter to the BCCI's legal cell. In the show hosted by filmmaker, Karan Johar Pandya had boasted about hooking up with multiple women and also how open he has been about it with his parents. Rahul's comments were more subdued. 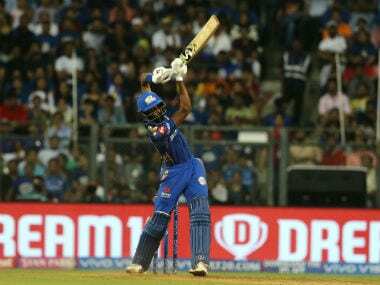 Pandya's remarks were deemed especially egregious and resulted in the players, who appeared together on the show, receiving show cause notices from the BCCI. While Pandya issued a public apology, Rahul has stayed quiet. Rai said, "I am not convinced with Hardik's explanation and I have recommended a two-match ban for both players. However, the final decision will be taken once Diana gives her go ahead… (she) has sought legal opinion whether the duo can be banned. So, obviously a decision will be taken once she gives her nod. As far as I am concerned, the comments were crass, in bad taste and unacceptable." Meanwhile, India Today reported that the episode of Koffee With Karan with Pandya and Rahul has been taken down by online platform Hotstar. There was some more off-the-field drama as head coach Ravi Shastri took aim at "critics", claiming some people are trying to pull the team down. Speaking with his trademark candidness in an interview with Times of India, Shastri said, "There are people who've only wanted to criticise this team, taking continuous jibes. Social media is fine, you get all sorts and none of that matters as long as you do what you have to do and do it right. But there are people who have simply wanted to pull this team down...and mind you, some have not been very subtle about it either. That's why I said what I said in the press conference after the Sydney Test." To recall, after India's historic win in the Test series Shastri said that the blanks fired by critics from miles away were "blown away by the wind like a tracer bullet". In the interview, he doubles down on his remarks. He said, "Before my first stint with the team, India were number five or something (in Tests). The last three years they've been number one and that's going to be the case for some time now. Those who want to keep abusing and ranting can continue doing that. Sooner or later, they'll understand they don't matter." Shastri then spoke about India's chances in the upcoming limited overs matches. He said, "The World Cup is the only thing on our minds now. Mentally, we're already switching from red (ball) to white," adding that the team will use the ODI series to "fine-tune things." He also said that he will be monitoring the fitness of the Indian players and that the team management is in touch with BCCI to better manage the players during the IPL. An update from the Premier Badminton League now. Kidambi Srikanth-led Bengaluru Raptors sealed their semi-final berth after beating Chennai Smashers 3-2 on Thursday. The tie started badly for Bengaluru as they lost the opening match. Bengaluru's Mohammad Ahsan and Hendra Setiawan, former doubles world champions, lost to Chris Adcock and Chin Chung Or 14-15, 15-9 and 15-11. But Sai Praneeth leveled the scoreline for Bengaluru, winning his singles match against veteran shuttler Parupalli Kashyap 15-11 15-12. Then, Bengaluru captain Srikanth, who played the Raptors' trump match against Chong Wei Feng, continued his winning streak. He defeated Feng 15-10 15-10 to give Bengaluru a 2-1 lead. The next match was an intense contest in between world no. 59 Vu Thi and J H Sung, ranked 11th in the world. It was a high-quality match that could have gone to either player, but Sung managed to keep her 100% win percentage in the PBL intact, winning 10-15, 15-14 and 10-15. The final match of the tie saw the husband-wife pair of Chris and Gabrielle Adcock beat Marcus Ellis and Lauren Smith 8-15 15-10 15-4. With this 3-2 win, Bengaluru Raptors move to third place in the points table, securing a semifinal berth while Chennai Smashers are currently in sixth place. The BCCI has announced the venues for the ODI and T20 home series against Australia that will be played from February 24 to March 13. The first match will be a T20 that will be played at the Chinnaswamy Stadium in Bengaluru. The second T20 will be played in Visakhapatnam on 27 February. That will be followed by the 5-match ODI series starting March 2. The first ODI will be held in Hyderabad, and the second in Nagpur. Ranchi is also included in the list of venues for the series - it will host the third ODI on 8 March. The final ODI will be played in Delhi on 13 March. The series assumes some significance for Australia - it will be their last international series before the 2019 World Cup that starts on 30 May in England. Scottish tennis player Andy Murray announced today that the 2019 Australian Open could well be his last tournament. The 31-year-old former number one, who has three Grand Slam titles to his name, broke down during a press conference in Melbourne as he explained that the pain from his hip injury had become unbearable. He said, "I can play with limitations. But having the limitations and the pain is not allowing me to enjoy competing or training." Murray, who was crowned Wimbledon champion in 2013, was the first British man to win the prestigious tournament in 77 years. He received a knighthood in 2017. 'Sir' Andy Murray said yesterday that he would have liked to wrap up his tennis career at this year's Wimbledon, but that seems pretty unlikely at this point. He said, "Wimbledon is where I would like to stop playing, but I am not certain I am able to do that. I've been struggling for a long time. I'm not sure I can play through the pain for…four or five months. (I have) Pretty much done everything that I could to try and get my hip feeling better and it hasn't helped loads." Murray had pulled out of last year's Australian Open to have hip surgery and made a comeback in June, but has been struggling to get to fully fit. He lost in just the second round in Brisbane last week. On Thursday, he stopped less than an hour into a practice match against Novak Djokovic in Melbourne. He lamented, "I think there is a chance the Australian Open is my last tournament. I'm going to play. I can still play to a level, not a level I'm happy playing at."